Language evolves at break neck speed on the internet; what’s cool one minute is lame by the next. Case in point: “LOL” is dying. 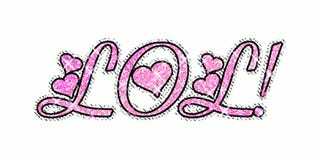 A Facebook report claims that LOL is now one of the least popular ways to express laughter on the social network. Why? Probably because of mom. The waning popularity of LOL correlates with aging demographics. In other words, only old people are using LOL these days, presumably because it was popular in the internet’s early days but is now falling out fashion as emoji becomes the universal language of youths. However, variations of “haha” and “hehe” are still the most popular expressions of laughter. There are plenty of ways to explain why LOL has fallen out of fashion—but one thing is for sure: LOLers are getting older as emoji takes over. Rest in peace LOL. Long live 😂.